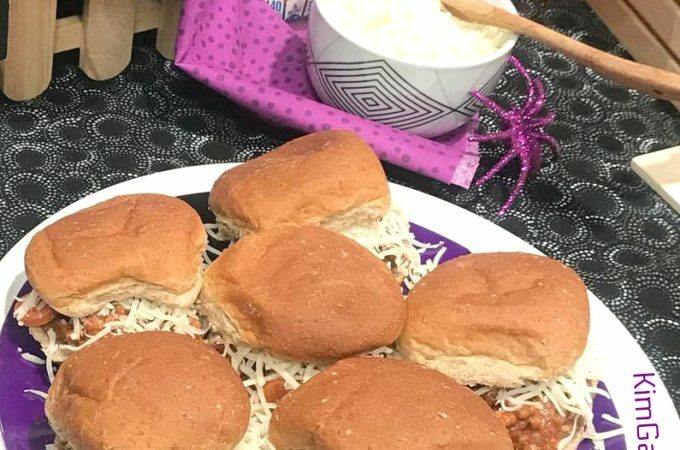 Perfect party food for me means easy to make and easy to serve. And of course, filled with healthy nutrients for my guests as well. 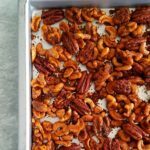 Oven-roasting mixed nuts is so easy. 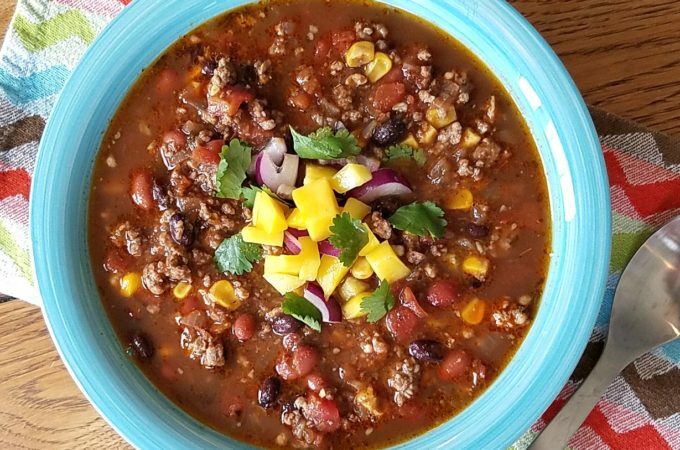 Just toss a bunch of sweet, hot, and smokey spices together in a bowl, then stir into your favorite nuts. Add a couple tablespoons of oil so the spices will stick to the nuts. Oven-roast. Watch closely and stir a couple times so they don’t burn. Cool. Enjoy. These freeze well. Store in tightly covered container or zippered plastic bag. Heat oven to 325°F. Coat an 18x13-inch rimmed baking pan with cooking spray (or parchment paper and cooking spray). Set aside. 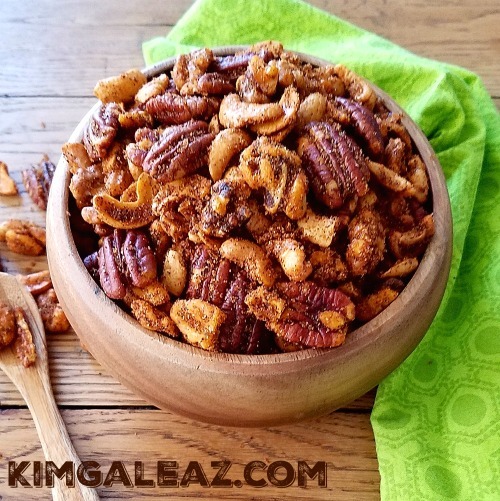 In a large bowl, mix walnuts, pecans and cashews. Add corn oil and toss until blended. In a separate small bowl, mix sugar and all spices. Add to nut mixture and stir well, coating all pieces. Spread evenly in prepared pan. Bake, stirring several times, until nuts are browned, about 15 to 20 minutes. Cool completely before serving. Store nuts in an airtight container or plastic bag at room temperature. Nuts will last about 5 days at room temperature. These freeze exceptionally well. Makes about 10 servings of ⅓ cup each.